So said the headline for a 1942 Graham Walker feature, referring to some Velocette developments. 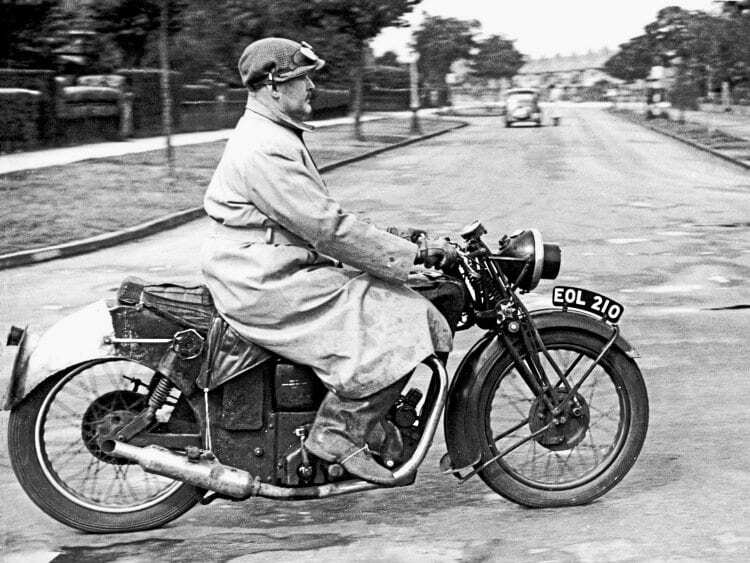 During the Second World War, Graham Walker, editor of Motor Cycling magazine, had to use some initiative to keep the pages of his weekly magazine full. As a consequence, those magazines from the 1939-45 period provide some fascinating tales and insights. A few years ago, we published Walker’s magnificent Seen from the Saddle series, which recounted his days as a leading road racing rider in the 1920s and cusp of the 1930s, as well as Ted Mellor’s recollections too – as the publication (publications; The Motor Cycle was in the same situation) didn’t have what was the core of its content prewar, namely sports and road tests. The sporting situation was largely curtailed by the war, with no petrol for fun activities – there was scarcely enough for essential use, after all – while many of the men who’d have made up the fields (and the spectators) were, sadly, otherwise engaged. There were no new road tests, either – most of what was coming out the factories was going straight to the war effort; some were still making two wheelers but many were engaged in other ‘essential war work’.